Hybrid drawing and music creation. Is there a better alternative to Paint Me A Song? Is Paint Me A Song really the best app in Illustration category? Will Paint Me A Song work good on macOS 10.13.4? Paint Me A Song…Have you ever imagined what a flower would sound like played by a piano? How about a smiley face played by a trumpet? 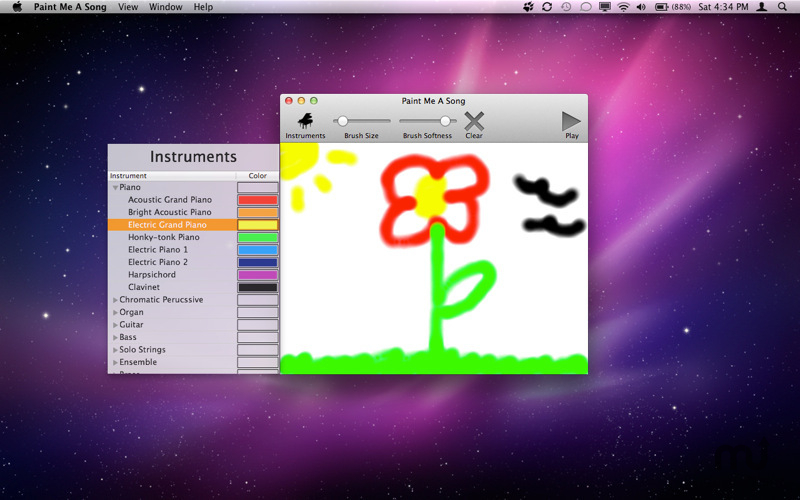 Paint Me A Song is a hybrid drawing and music creation application that can bring your art to life. Better saving technique (faster and more efficient). Paint Me A Song needs a review. Be the first to review this app and get the discussion started!